The “Lost Cause” project drops tomorrow! Them Twins back at it again with visuals for their WondaGurl–produced joint off “The Boarding Pass” mixtape. More newness from Devon Tracy produced by Brandon Niles. Singer, songwriter Zeyon returns with an important message to get off his chest. Collaborating with Toronto’s “Princess of the north”, hip-hop artiste Keysha Freshh, for his newest single titled “Against the world”, Zeyon holds no punches. “My goal for this record is just to let them know that the next biggest thing has been brewing, I was just waiting on the right time to be around for a long” explains Zeyon. “First time I met Zeyon a producer had brought him to my studio session, and when I heard his stuff I knew off the bat we would be collaborating. This song is really important to both of us because its our truths, and many other artist can relate to what we’re talking about” says Keysha on how the collaboration came about. With an EP on the way slated to release at the end of the year titled “No Bridges”, Zeyon plans to enter the new year with a bang. Any time people get together to chop it up about the local scene it’s all good in my eyes. 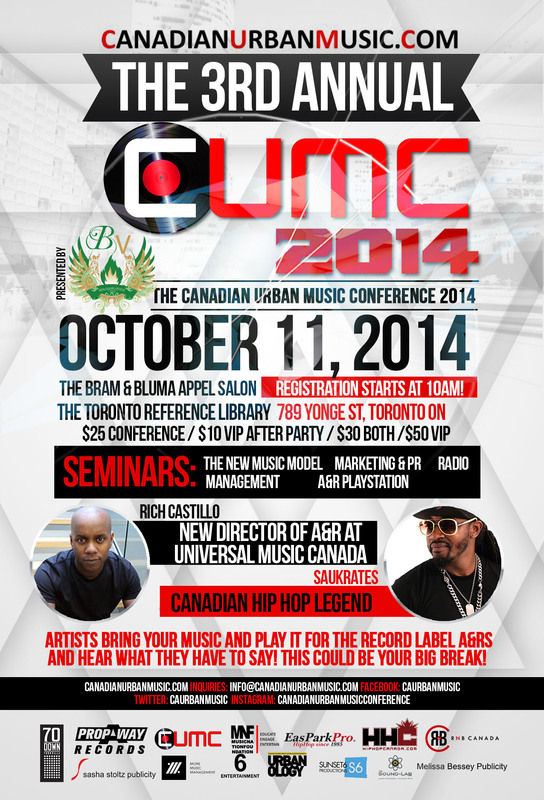 CanadianUrbanMusic.com for more and registration. Wondagurl – 17 year old Grammy Nominated producer from Toronto. Catalog includes Jay Z, Ryan Leslie, TraviS Scott, SonReal. Artist will have the opportunity to play their music in front of music and industry professionals who will provide feedback and advice to benefit from. At the end of the conference there will be a private V.I.P party and music performance showcase for all attendees. The showcase will feature some of Toronto’s top emerging artists. Past performers include Karl Wolf, Dvbbs, Jerzee Tha Icon, Goliath PAW, Fito Blanko, A-Game, and Lil Jaxe. $50 Conference and After Party. Registration will take place from 10AM-10:30AM (Day of Conference) and CUMC founder Eb Reinbergs will give his opening address soon after. CUMC provides music professionals with the tools to create, communicate and participate in this global multi-billion dollar music industry. The conference consists of a series of intimate and interactive workshops, A&R meetings, live concerts, networking lunches and private VIP cocktail events. CUMC is committed to giving professionals a competitive edge and a truly revolutionary way to Network… Learn… and do Business. King Reign releases accompanying visuals for the DJ Agile-produced cut off his “Sincere” album, out now! Week 3 of Merna’s #BendTheRules campaign with HP. Syph and Lanez connect for the latest single off his upcoming “Rookie Of The Year” mixtape. Shot & Edited by Zac Facts. Connecting for the first time, Brooklyn’s Vader The Villin and Toronto’s DillanPonders trade verses over production provided by SmashMouth’s own Tay Lewis. Filmed & recorded during the NXNE festival in June, Pound will appear on SmashMouth Entertainment’s upcoming ‘SmashMouth Mentality Vol. 2’ compilation project. SmashMouth Mentality Vol. 2 is coming soon. Intro to another new youngin’ in the city, Roy Wood$. Get caught up below and on the SoundCloud. 18-year-old Toronto native; Roy Wood$ premieres his first single “I Got” from the forthcoming EP “Exis” slated to drop at the end of 2014. 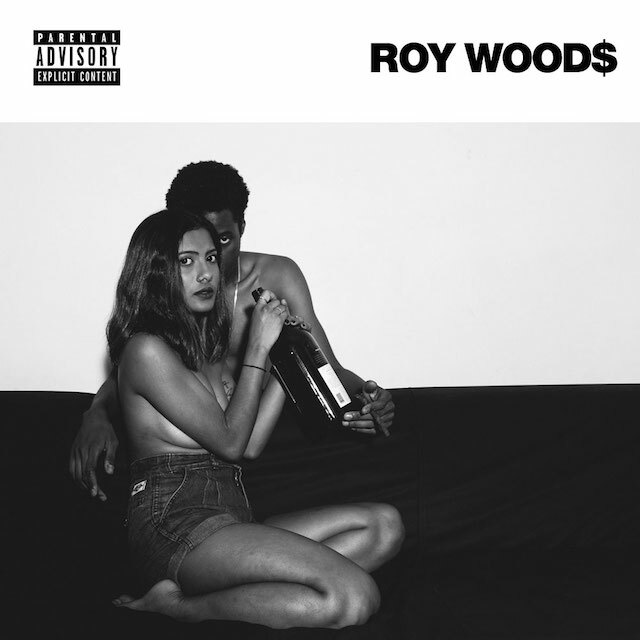 Roy Wood$ is a unique talent with his rare note-hitting vocal performances, mature songwriting, and advanced rhyming-lyrical ability. “I Got” is an awesome introduction to his debut project which from the sounds of it, promises to be a special one. powerful music that reflects the often whirlwind lifestyle the city seems to be offering up to this new class of young talent. Yung Lean at the hoxton in Toronto alongside Sha hustle and TRIPSIXX. That was just the beginning for the 18 year old as he was consequently featured on TRlPSlXX’s summer banger “Goosebumps” which received widespread rotation an the internet and in Toronto turning up clubs during the summer. The most significant moment of the year thus far was at 99 Sudbury, a venue packing thousands and featuring only one performer in the biggest hip-hop party of summer 2014. Roy wowed the crowd with incredible energy and a powerful performance that saw him ultimately crowd surf on hundreds. A steady release schedule and a host of upcoming videos and singles for the year should ensure a smash momentum building year for the young artist capped off by an EP at the end of year.